In honor of the end of TV-binging season and the upcoming onslaught of new fall shows, we’ve rounded up our favorite summer releases. Spoilers ahead! 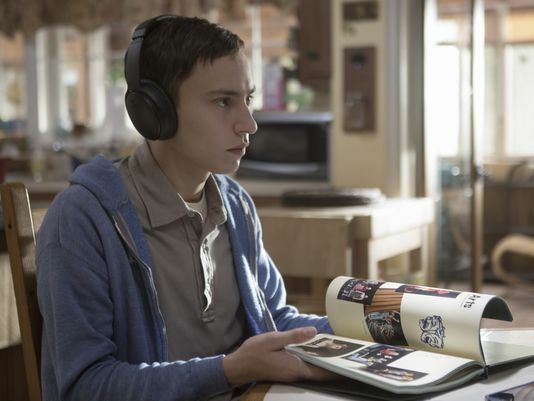 “Atypical” is an offbeat, endearing show about a boy on the autism spectrum named Sam (Keir Gilchrist) who is on a quest for love. Its thoughtful examination of autism and the way it affects those around it (including family members, classmates, and even the therapist) sensitively balances humor that relies on Sam’s social missteps with solemn moments portraying the realities of what it’s like to be (or be close to someone who is) autistic. While Sam is the main character, the show is just as much about his passionate but frustrated mother Elsa (Jennifer Jason Leigh), his sister Casey (Brigette Lundy-Paine), and his conflicted therapist Julia (Amy Okuda). Each of its characters shines in their own particular, often bizarre way, and their disparate narratives are carefully woven together in a heartwarming first season. 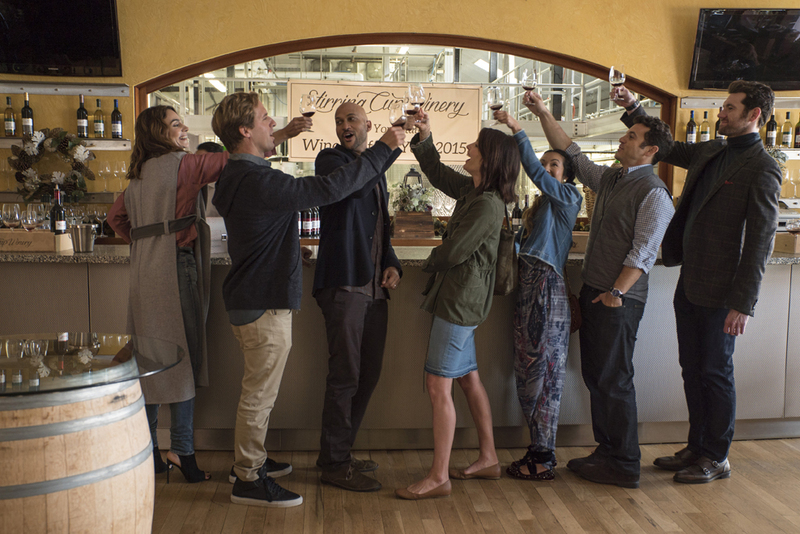 In one of Keegan-Michael Key’s more serious performances, “Friends from College” follows a group of friends (from, you guessed it, college) as they navigate the nuances of their adult lives. The core storyline is that two of them are having an affair, which weaves its way through the season and culminates in an unsavory party that ends with a car in a pool. Overall, it’s an entertaining and quick binge-watch that shows a group of comedy actors exploring their serious sides. Cobie Smulders of “How I Met Your Mother,” Billy Eichner, and Fred Savage also star. In its most stylized season to date, GOT’s penultimate set of episodes traded the logical progression of time for astronomically scaled battle scenes, dragon fire in spades, and the consummation of the intense flirtation between two Targaryen heirs. It’s managed to unite almost all the characters in its many-layered web, setting the stage for the two competing showdowns that will inevitably occur in its next and final season: that between the living and the dead, and that between the two queens (and now, maybe a king!) vying for the Iron Throne. While it was a thrilling, action-packed season, many viewers were disappointed to watch the show deviate from the subtleties and unhurried pace that the show’s previous seasons have espoused. It’s safe to assume that the last season won’t return to the show’s old ways: the wall is down, the Night Walkers have a dragon, and the action can only pick up from here. Unique in concept and brimming with bright colors and vibrant characters, “GLOW”—which stands for Gorgeous Ladies of Wrestling—is, simply put, an utterly excellent show. It stars an aspiring actress named Ruth (Alison Brie) who, through an interesting and hilarious string of events, ends up starring in a wrestling show alongside her former best friend and current biggest enemy Debby (Betty Gilpin), whose husband she slept with. Outside of that arc, the show covers the evolution of the relationships between fifteen women as they learn to wrestle and film the show, and later have to fight to save it. It may sound kind of outrageous, and it is, but it revels in its own outlandishness. This, along with the diverse, sometimes strange, but always utterly human characters make for a smart and hilarious show about womanhood, friendship, devotion to a craft, and, of course, wrestling. Meat-lovers beware: “Okja” will make you think twice before you eat your next burger. 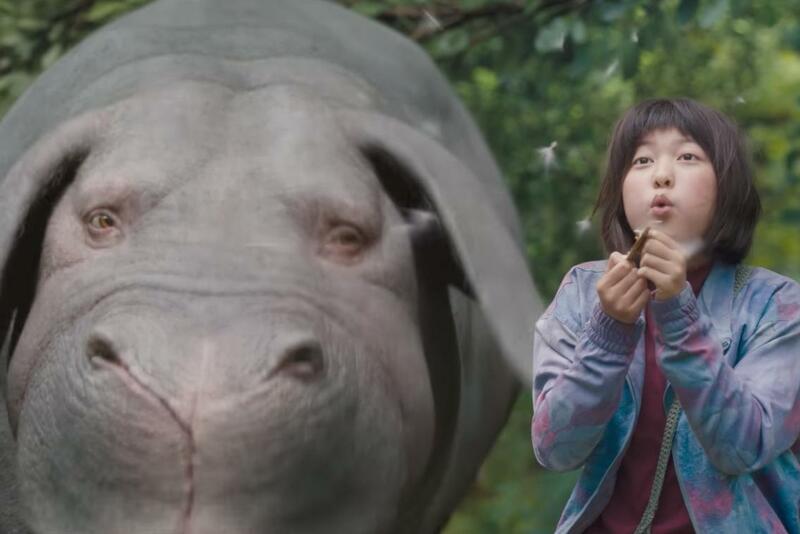 This Netflix film follows a South Korean girl named Mija and her cow-pig friend, Okja. Okja is one of twenty-six “super pigs” produced by corporate meat giant Mirando Corporation and sent around the world for farmers to raise. When Mirando Corp. and its power-hungry CEO come to take Okja, Mija follows her to New York to sabotage Mirando Corp.’s carnivorous plans and save her friend. A beautiful and action-packed film, “Okja” presents an endearing look at the bond between humans and animals and the inevitable cruelty of meat production. “Ozark” stars Jason Bateman as Marty, who, with his life on the line, is forced to drop his financial advising career in Chicago and move his dysfunctional family to a tourist destination known as the Ozarks to continue laundering money for the second largest drug cartel in Mexico. Once they arrive, they’re met with even more obstacles and threats from people within the community. Along the way, Marty discovers he had been being betrayed by almost everyone he thought he could trust. In a suspenseful and thrilling drama, Bateman and Laura Linney (as Marty’s wife) deliver captivating performances within an unpredictable storyline that will keep you hooked. 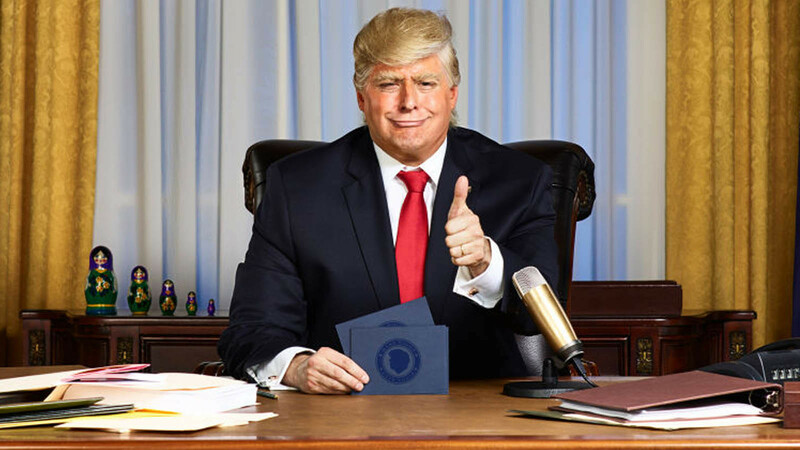 “The President Show” premiered on Comedy Central last spring, but most of the first season aired this summer. The premise is simple: Donald Trump (Anthony Atamanuik) hosts a late night talk show as President of the United States. Unsurprisingly, his role as talk show host and his role as president become inseparable (though he clearly prefers the former). Alas, politics and entertainment are one, and this condition is alternately hilarious and cringeworthy. Every episode is composed of an opening monologue in the form of a press release by Trump, a desk segment with forever-insulted and bland Mike Pence (Peter Grosz), field pieces in which Atamanuik is often mistaken for Trump and harassed, a short interview (usually with a journalist, activist, or celebrity), and a closing monologue (aptly called the “Farewell Address”). Did I mention that each episode has its own theme? Season 1 themes include “Intelligence,” “Witch Hunt,” “Reality,” “Containment,” and “Chaos.” Steve Bannon (John Gemberling) and Anthony Scaramucci (Mario Cantone) make regular appearances, and it’s possible we’ll see additional guests later this season. Atamanuik’s Trump character gained popularity last year during a series of fictitious Trump vs. Bernie speaking events sponsored by College Humor and @midnight. If Alec Baldwin’s Trump on “Saturday Night Live” is meant to imitate the real Trump’s mannerisms, Atamanuik’s Trump is meant to highlight and exaggerate his most essential qualities. In short, Baldwin’s study of Trump is behavioral, while Atamanuik’s is psychological. The show’s Trump is childish, self-centered, clueless, impulsive, narcissistic, misogynistic, vain, and utterly disinterested in being President (he regularly exclaims, “I’m the President! Can you believe it?”). Still, some of the best moments of “The President Show” involve closeups of Atamanuik’s Trumpian facial contortions and awkward body movements. As Trump, his voice shifts rapidly in volume, tone, and pace, effectively serving as an audial manifestation of Trump’s volatility. Despite its hit-or-miss writing, this is a show that promises higher approval ratings than the Trump presidency with just as much absurdity. After over two decades in exile, FBI Special Agent Dale Cooper (Kyle Maclachlan) is permitted to leave the Black Lodge, a place from another dimension filled with evil spirits. But he is not his normal self, and he is not safe. His evil doppelgänger, known as Mr. C, is wreaking havoc, torturing and killing anyone who gets in the way of his quest to hunt down the newly returned Agent Cooper. Meanwhile, supernatural forces once again haunt the small midwestern town of Twin Peaks. Over 25 years after the original series was canceled, David Lynch and Mark Frost’s “Twin Peaks” returns with a thrilling new season, filled with mystery, humor, and Lynch’s trademark surrealism. If you can believe it, the third installment of this cult franchise leans even further into absurdity than its predecessor. Most of the actors from the 2001 cult-classic film and 2015 follow-up series, “First Day of Camp,” reprise their roles and are joined by newcomers Mark Feuerstein, Alyssa Milano, and Adam Scott (playing Bradley Cooper’s Ben, explaining away his change in appearance by announcing a nose job to fix a “deviated septum”), among other big names in comedy. The running joke that 30-year-olds were playing 16-year-olds in the first two renditions shifts in “10 Years Later,” with 40-somethings playing young professionals decked out in peak ’90s fashion at their camp reunion. In addition to the professional and romantic developments of the cohort, viewers are treated surreal plot lines involving a scheming Ronald Reagan (Michael Showalter, who also stars as Coop) and George H.W. Bush (Michael Ian Black, also starring as McKinley), a psycho nanny (Alyssa Milano), and, of course, a talking can of vegetables named Mitch. It’s one of those things where you either love it or you hate it. But if you love it, it’ll feel like your own reunion with this ridiculous cast of characters.